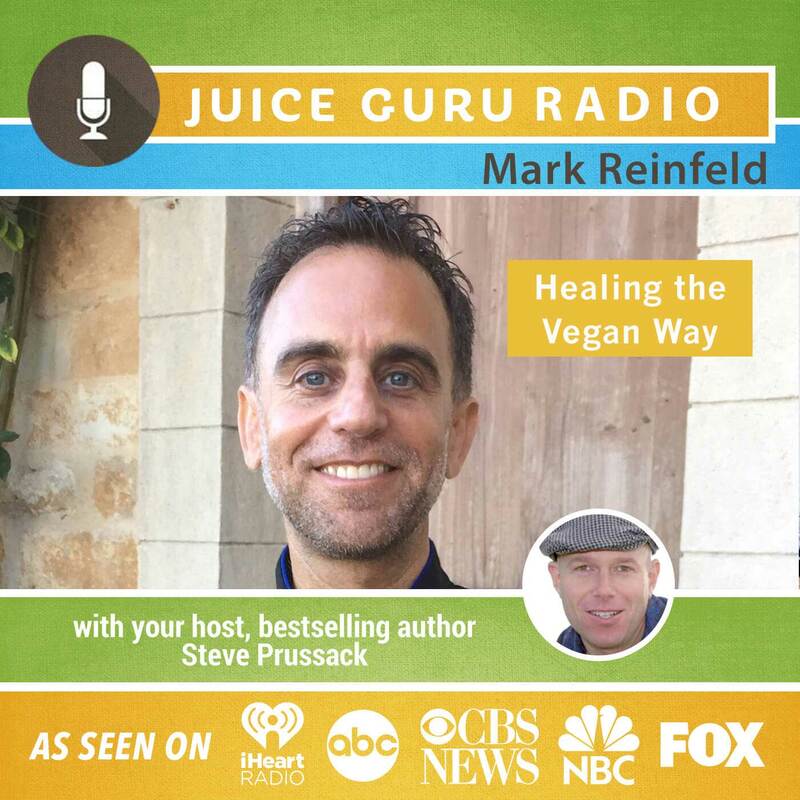 Who: Mark Reinfeld – Mark Reinfeld is a widely acclaimed and multi-award winning chef and author of seven books, including the best selling 30 Minute Vegan series and his latest book, Healing the Vegan Way. Mark has over 20 years experience preparing creative vegan and raw food cuisine. Since 2012, he has served as Executive Chef for North American Vegetarian Society’s Vegetarian Summerfest and has offered consulting services for clients such as Google, Whole Foods, Bon Appetit Management, The Peninsula Spa and more. Mark was the founding chef of The Blossoming Lotus Restaurant in Kaua’i”, voted “Best Restaurant on Kauai.”.Mark‘s work has been featured in countless publications including Vegetarian Times, Veg News Magazine, Santa Barbara Magazine and many others. Through his Vegan Fusion company, he offers consulting, chef services, culinary workshops, chef trainings and teacher trainings internationally. What We Talked About: Bestselling author Mark Reinfeld shares how we can easily include more healthy food choices and recipes into our everyday diet. Why I Like Mark: Mark is down-to-earth leader that shares his message straight from the heart. He is compassionate, loving and a great inspiration for all of us. Great Line: When we add more fruits and vegetables in our diet, we can actually reverse serious diseases. There is mounting evidence, scientific data and case studies to back this up!